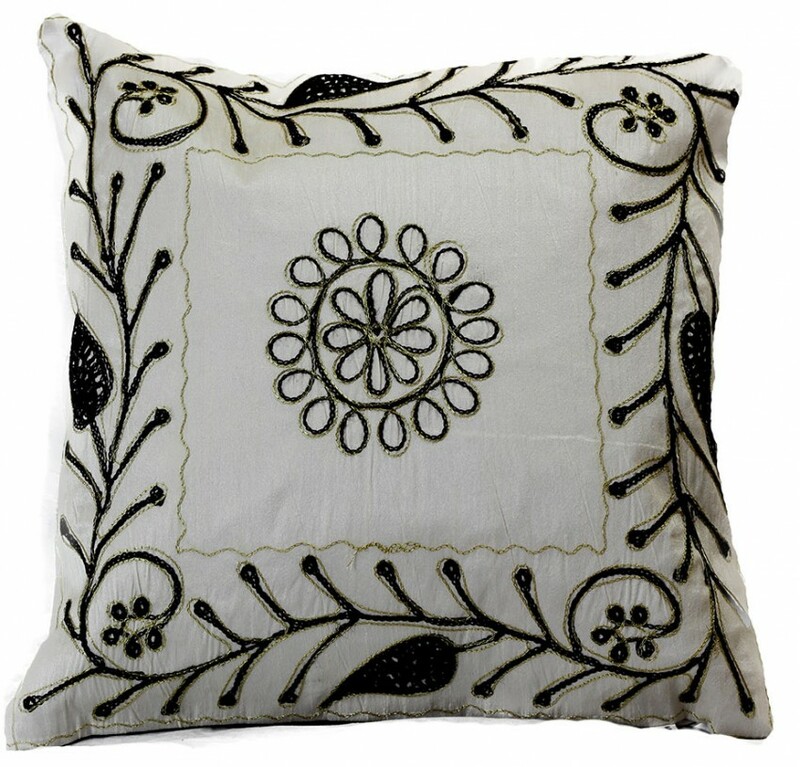 Add a sophisticated touch to your surroundings with this gorgeous set of Paisley Embroidered Pillow Covers. 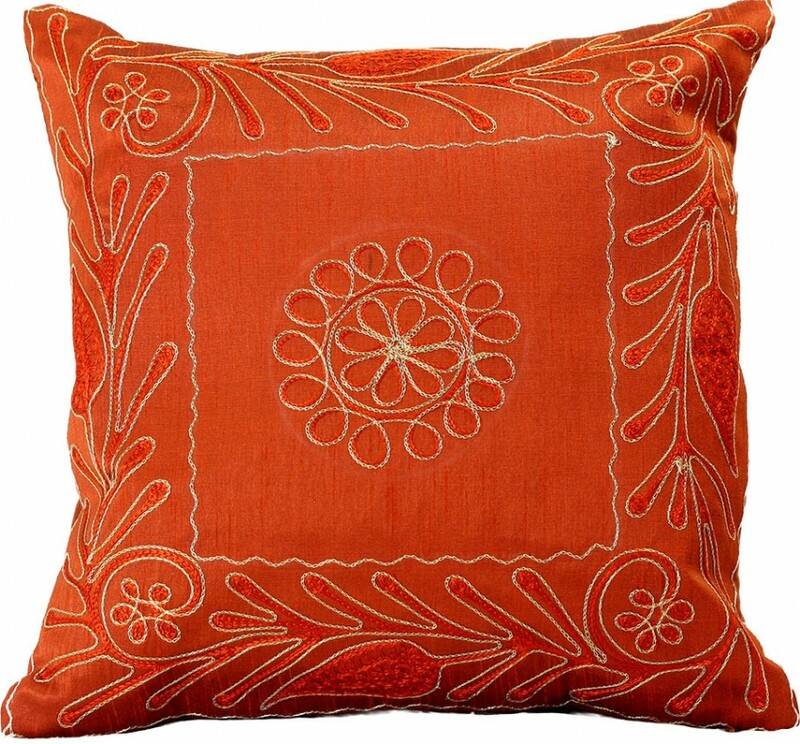 Perfect for both casual and luxurious home decor. Hidden zippers allow for easy removal. Pillow fillers not included. Made in India. Hand wash only. 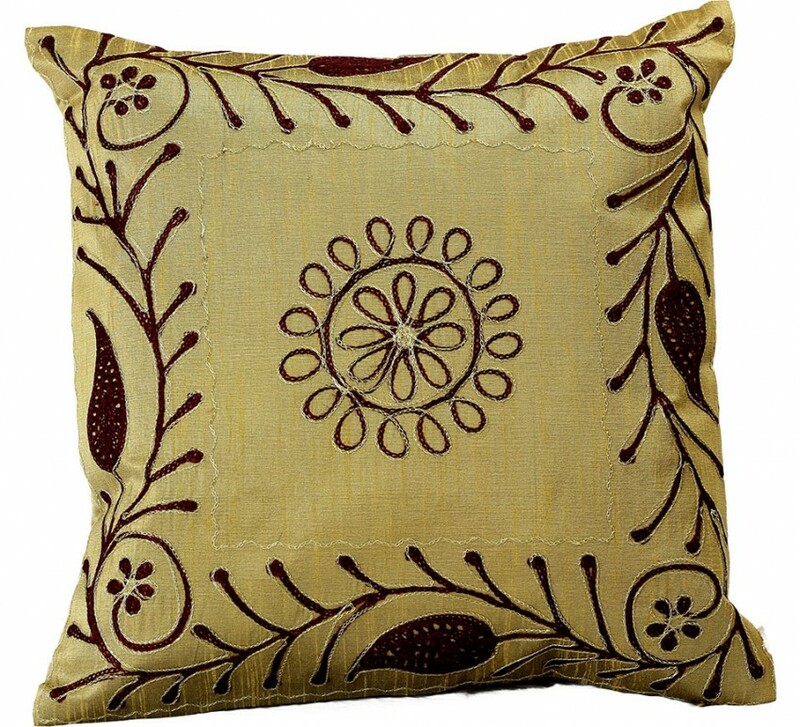 Sink down into your sofa at the end of a busy day, and rest comfortably on these stunning, decorative throw pillow covers. 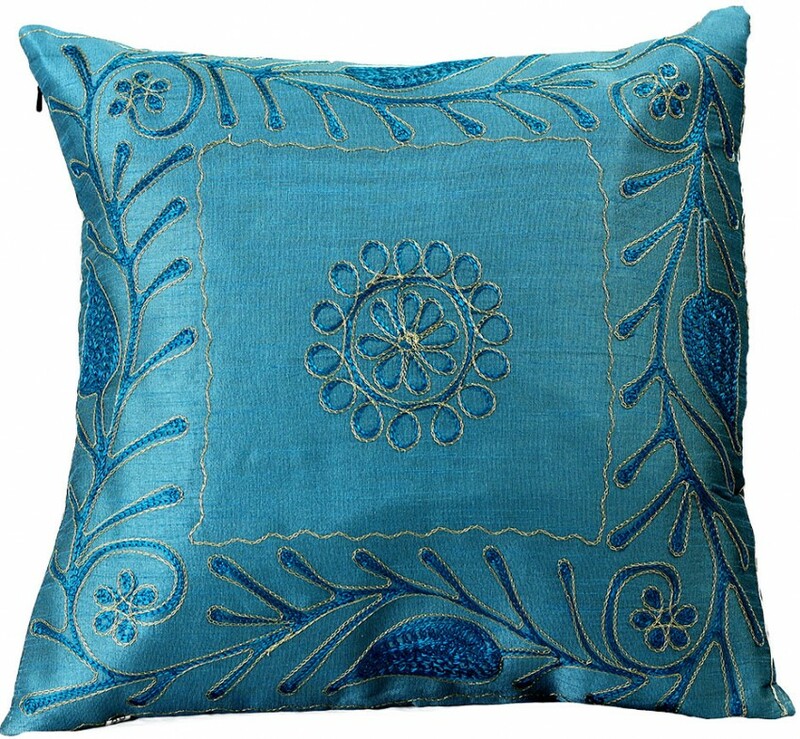 Each cover features a delicately embroidered paisley design, and the silky fabric comes in four bold, attractive colors. Whether your home decor leans more towards an upscale or a casual feel, these classic throw pillow covers will complement your surroundings and add that perfect finishing touch. 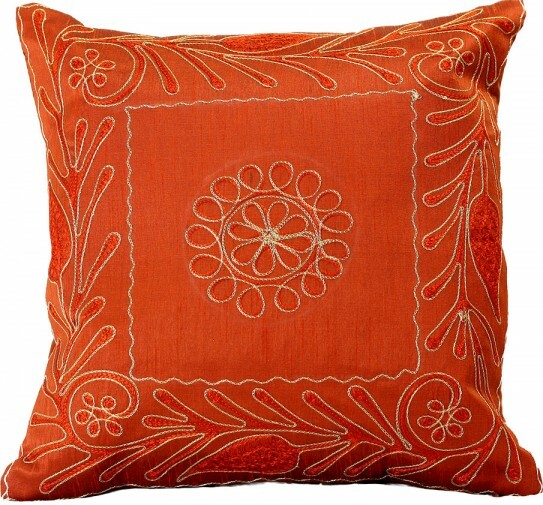 Zippered sides make the covers easy to pull off and put on, so you can instantly change the look and feel of your surroundings simply by swapping your throw pillow covers. You’ll love how this whimsical design looks in your living room, guest room, or bedroom, and your guests will feel right at home. Hand wash gently with cool water, and lay flat to dry. Gently iron from the opposite side using a protective cotton fabric at low to medium heat. Avoid direct exposure. Since photos are taken under different lighting conditions, color tones may slightly vary. We try our best to make sure our products are represented as accurately as possible. Orders placed on our website are shipped within 1-2 business days via USPS and UPS Ground. Expedited delivery is also available during Checkout. Packages typically arrive within 3-5 business days when shipped within USA. We also offer worldwide shipping to destinations including Europe and Canada. Read our full policy and find domestic & International shipping rates by by clicking here. Gift packaging, tissue wrap paper & custom hand written notes are available on all orders for an extra flat fee of $5.00. Easy 30 Day Returns: For more information on our returns & exchanges policy, please click here. When you shop with Banarsi Designs, your personal information is always protected. We use Secure Sockets Layer (SSL) technology to provide you with a secure and safe shopping experience. © 2012 - 2015 Banarsi Designs, LLC. All Rights Reserved.